When will be completed, One World Trade Center will be the tallest building in Manhattan and one of incredible poignancy for New York City. 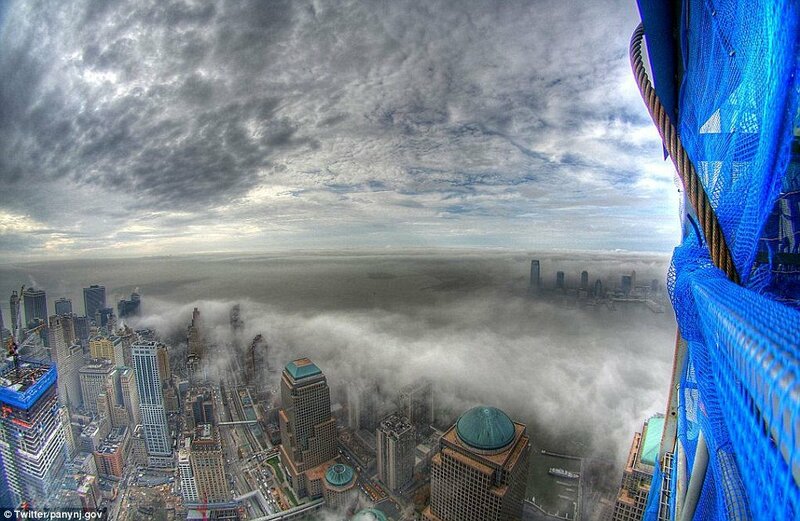 One World Trade Center reached its 90th floor this week – with just 14 more floors to go until the top. The structure can now be seen from all five boroughs of the city. Amazing pictures showed how the area has been reborn since the 9/11 attacks more than a decade ago where almost 3,000 people lost their lives in the worst ever terrorist attack on American soil. One World Trade Center is on track to be completed by 2013 with construction workers approximately finishing a floor a week in downtown Manhattan. Electrical contractors at the tower agreed to give it a festive feel and wrapped the exterior lamps they use with coloured cellophane in time for Christmas. 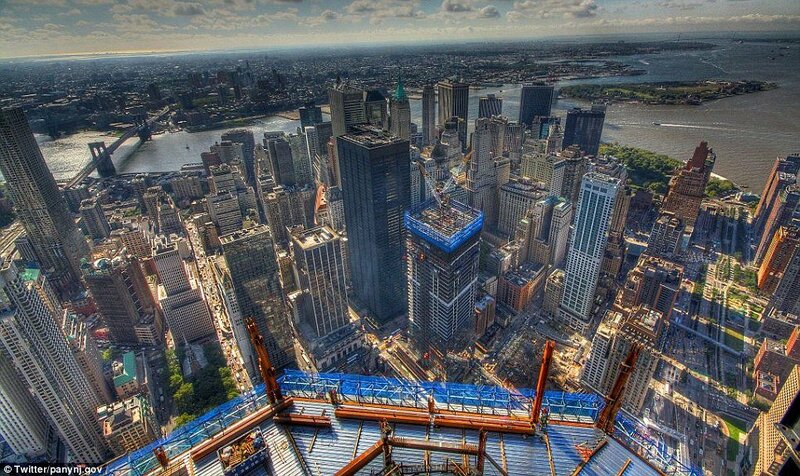 Developments can be followed on One World Trade Center’s Twitter feed @WTCProgress. Glass now covers up to the 65th floor and concrete has been added up to the 82nd level. There will be 104 floors in the completed building, making it the tallest in Manhattan. The site will be a place of reflection and contemplation for many and The National September 11 Memorial And Museum, designed by the winning team of Michael Arad and Peter Walker, was opened for the 10th anniversary of the terrorist attacks. One World Trade Center, designed by renowned architect David Childs, standing in the north-west corner, is the site’s centrepiece. The first cornerstone was laid down on July 4, 2004, and as the building rose it was known as Freedom Tower. One WTC stands in the footsteps of the original twin towers among a small forest of oak trees in an eight-acre plaza. It features two 50ft-deep pools, each containing fountains, along with a museum with exhibitions and artefacts to teach visitors about the events of September 11. At One WTC, there is almost 3million square feet of office space – half of which had already been leased. There is also an observation deck planned more than 1,241ft above ground, fine-dining restaurants and a sprawling public lobby boasting 50ft ceilings. There will be eventually be six skyscrapers on the site altogether.